My name is Mike Collins. I am a year round Central Wisconsin Fishing Guide, specializing in the pursuit of large gamefish on the beautiful Wisconsin River! With a lifetime of fishing knowledge, and over 8 years of guiding experience, I am confident I'll make your angling adventure a day you will not soon forget! Fully guided outings are provided for a variety of species 12 months of the year! Whether in my boat, or 16 foot ice shanty, I guarantee you'll have a great time! My priority is to make your day on the water, or ice, as easy and enjoyable as possible! Please take the time to explore my site, and some of the opportunities I can offer! Gift Certificates are available upon request! 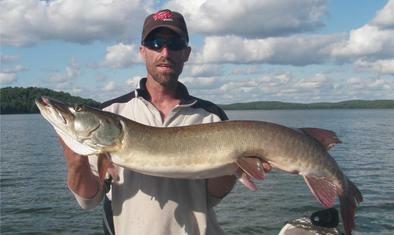 Follow me on Facebook for updated Wisconsin Dells area fishing reports! Click HERE to purchase your 2019 Wisconsin Fishing License Online!